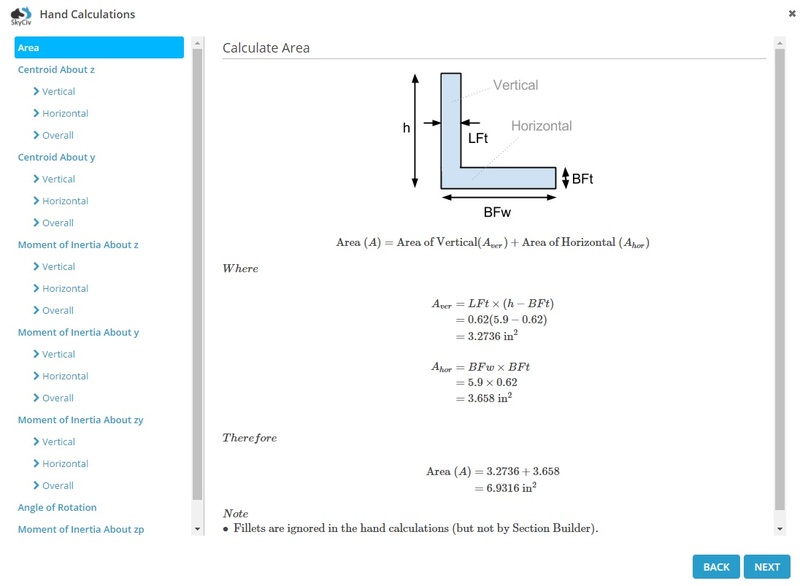 The Hand Calculations feature of SkyCiv Section Builder allows you to view step by step instructions on how properties of the section are calculated. Please check out the video below for a quick overview of this feature. Accessing your hand calculations is easy. After you’ve finished building your section, click “Calculate”, and the button for the hand calculations will appear below the results on the right. The hand calculations are overlaid onto the page, and you can select the step by step results you wish to see from the menu on the left. 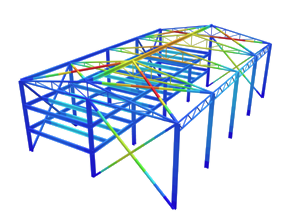 The hand calculations adapt to the section you solved, and you can compare the results from the hand calculations page to the results provided to you in the table for Section Builder.